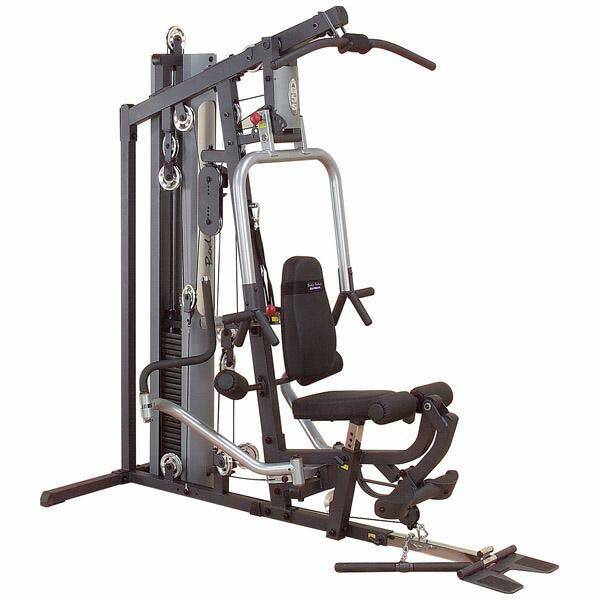 The Body-Solid G5S is a feature packed home gym with a frontal-access design, making your workouts faster, more efficient and requiring less space. 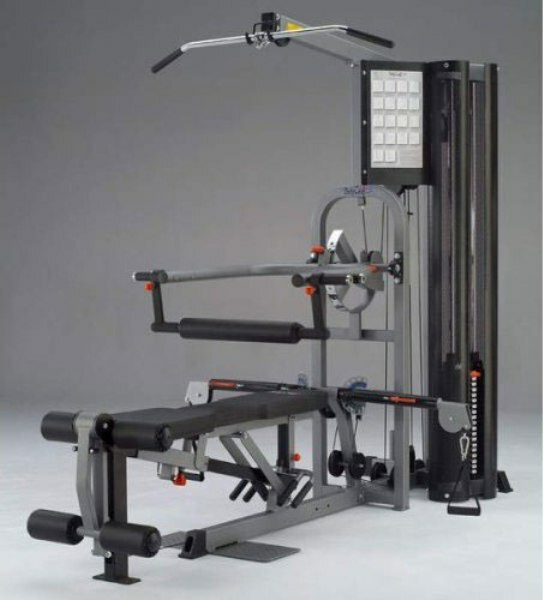 The Body-Solid G5S is a feature packed home gym with a frontal-access design, making your workouts faster, more efficient and requiring less space than conventional home gyms. 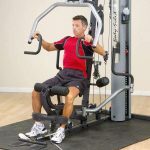 The multi-grip press arm features 3 pair of handgrips to work muscle groups from various angles, creating more thorough muscular development. 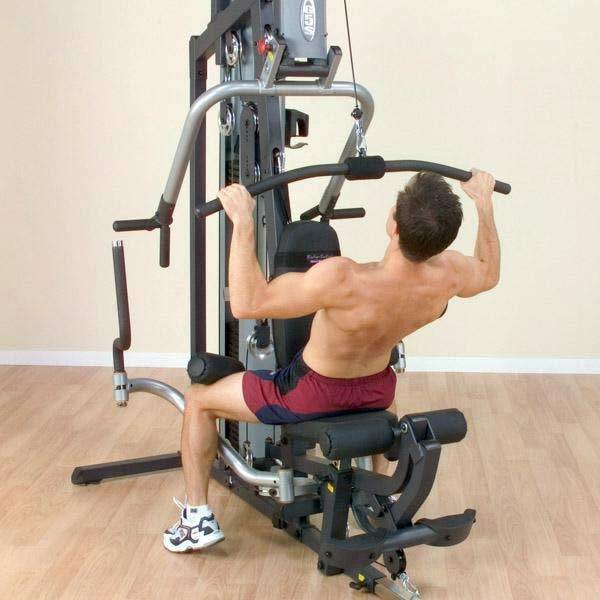 Adjust the cam at the top of the press arm to perform flawless, chest, shoulder and back exercises. 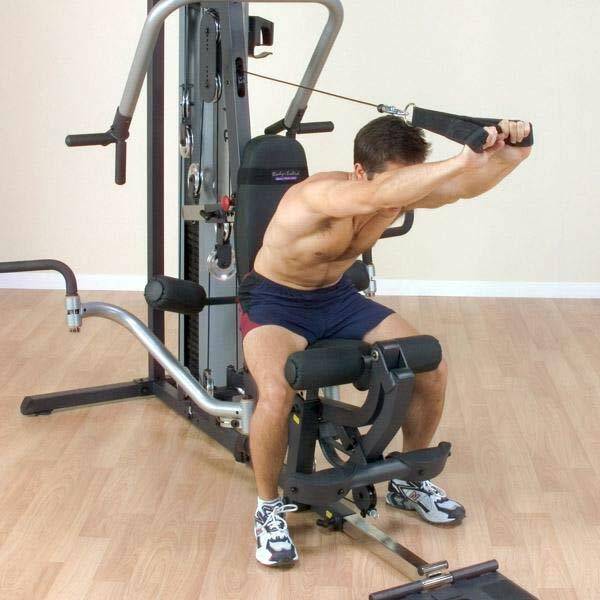 Turn around and blast your lats with a chest supported mid row or reach up and grab the lat bar. 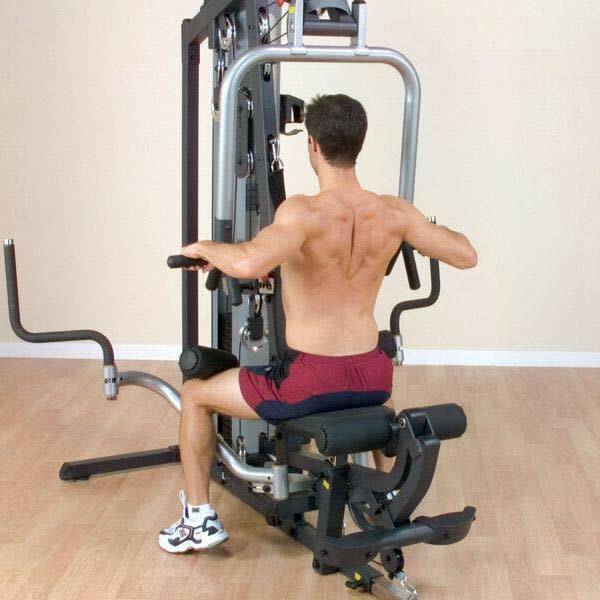 The G5S comes with the Perfect Pec™ Station. 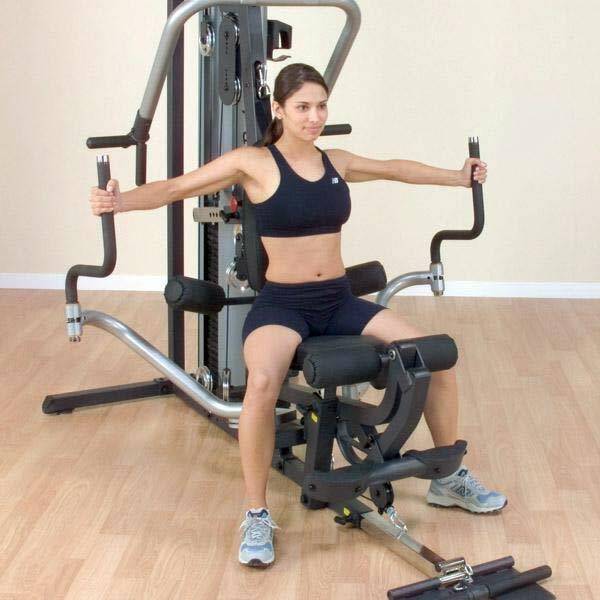 Equipped with swivel arms and designed for both unilateral and bilateral movements you get the maximum stretch for deep muscle toning, and the most incredible upper body development possible. 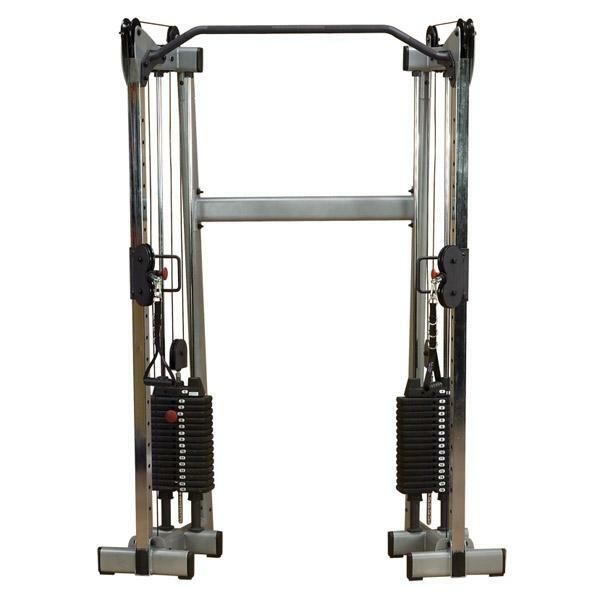 The leg developer’s SmoothGlide Bearing System™ glides you through the most demanding leg curls and leg extensions. 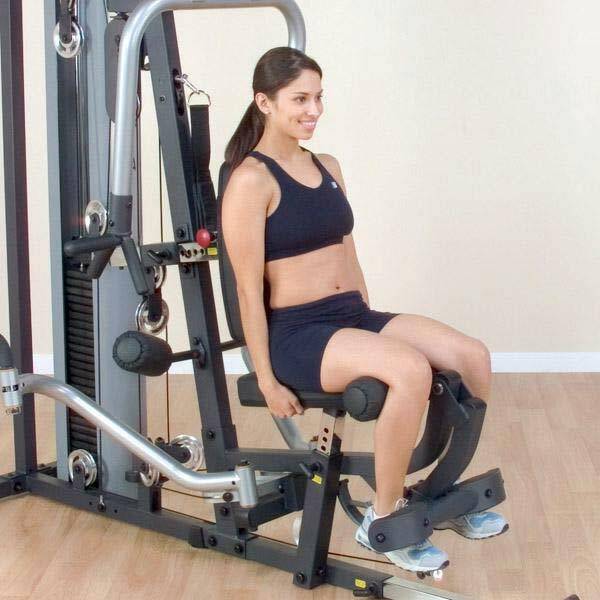 Loaded with over 50 exercises and a 210 lb. 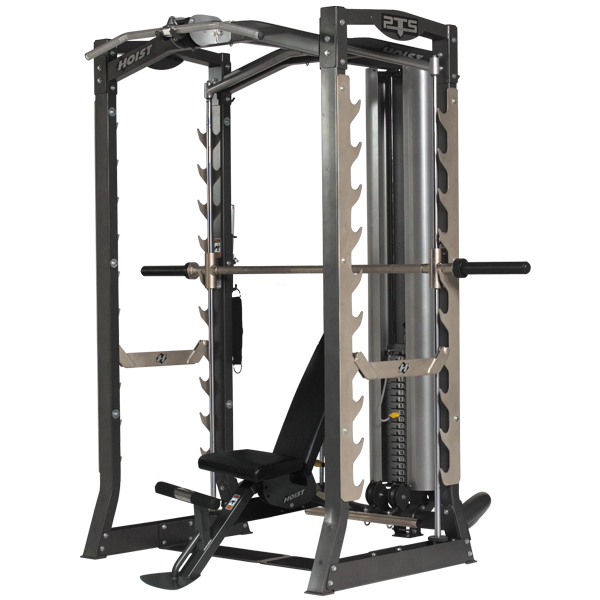 weight stack, the G5S is the perfect gym for someone looking for maximum versatility in minimum space. Chest, incline, shoulder press, mid row and leg developer stations incorporate the friction free SmoothGlide Bearing System™. Tough, durable, electro-statically applied powder coat finish. 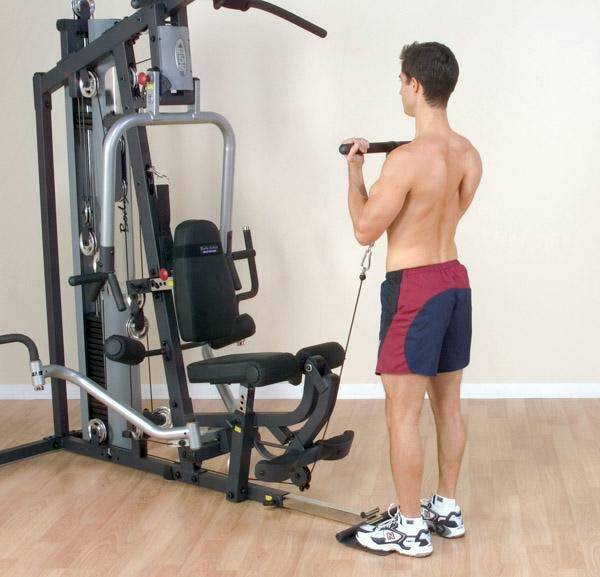 Includes lat bar, revolving straight bar, ankle strap, ab/triceps strap, Total Body Workout™ DVD, full size exercise chart and convenient water bottle and towel holder.